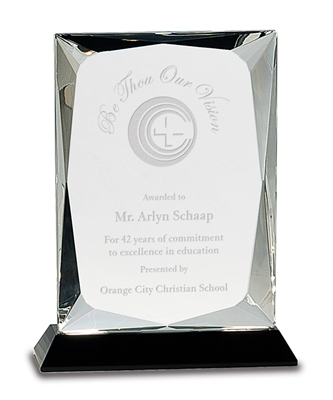 This classic and elegant design is a great way to recognize employee achievement. Design work and custom laser engraving are included. 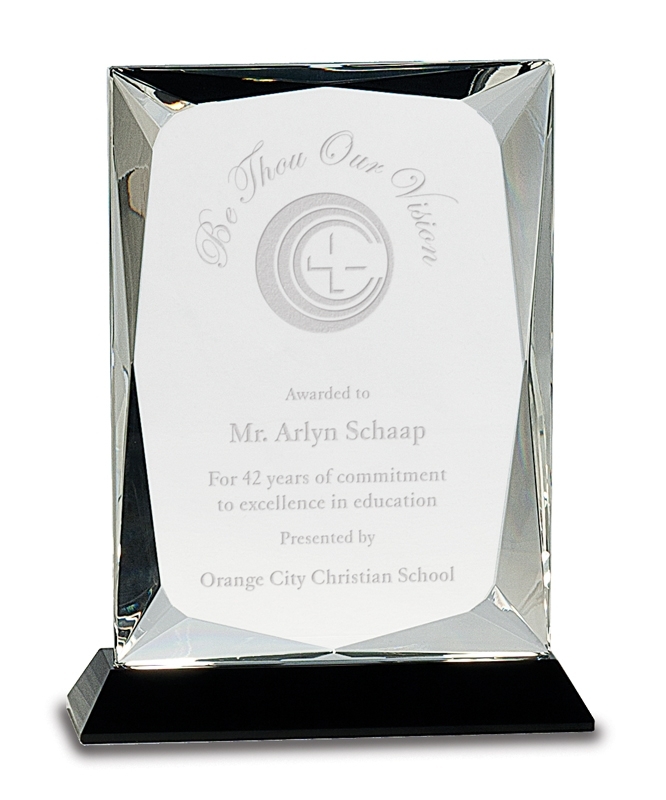 Rectangular Glass Plaque Glass Crescent Plaque Crystal Tower with Globe Floating Glass Plaque - 9x12"